TSSC has the head start edge for high school students (grades 9-12) who wish to begin intensive preparation for the 2008 TMEA All-State Auditions in the All State Etude Clinic. 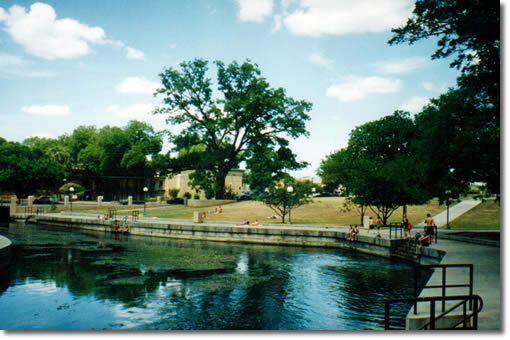 San Marcos is the gateway to the picturesque Texas Hill Country and the home of Texas State University-San Marcos, located on the banks of the San Marcos River. 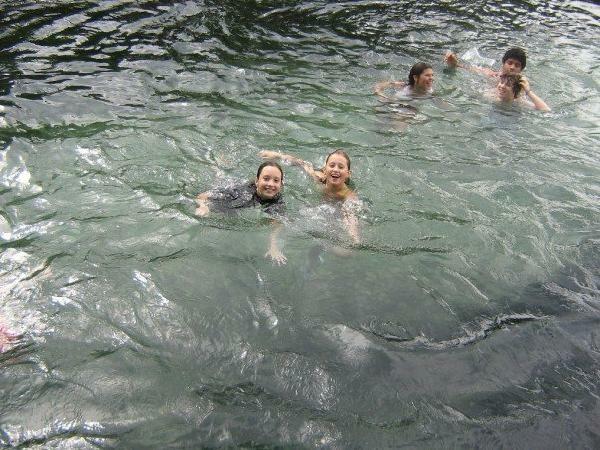 In addition to rehearsals, classes, and electives, students will spend an afternoon cooling off in the spring-fed waters at Sewell Park, followed by a trip to some of San Marcos's finest local eateries. Other evening activities include a camp dance, karaoke/game night, a trip to the University Bookstore, a Faculty Recital and a Student Recital featuring performances by select student chamber groups. Please go to www.texasstatestringscamp.org for additional information and to download an application. 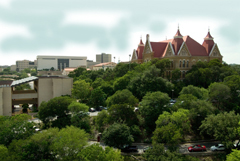 For twenty-five years, Texas State String Camp (TSSC) has provided an extraordinary music faculty from Texas State, a unique Hill Country atmosphere, innovative music ensemble and classes, and a week of memorable fun and friendship. Each summer more than 100 of Central Texas' most talented and motivated student musicians come to San Marcos to learn, live and perform with an unparalleled group of peers and educators on the Texas State Campus. 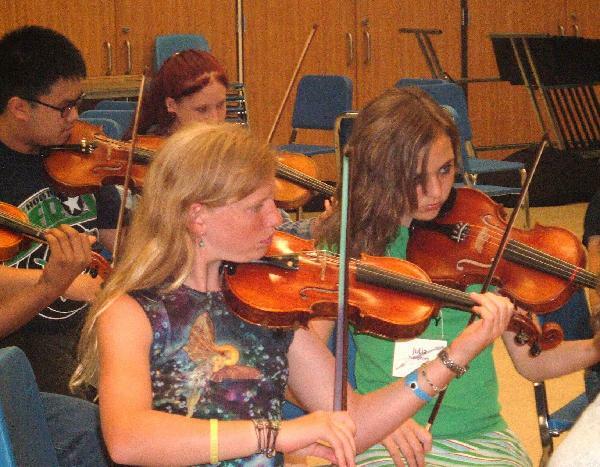 TSSC offers a one-of-a-kind summer program that strikes a chord with a diverse group of young string musicians from classical aficionados, to aspiring improvisers, to fiddling fanatics. This annual event is sponsored by the Texas State School of music and is scheduled for June 22nd through the 28th. Every year TSSC offers new and exciting ways to let string students express themselves and this year, two new electives join the list of unique choices students can select at registration. Music Technology, set in the Texas State School of Music's state-of-the-art computer lab, is designed to introduce young musicians to the basics of composition, arranging and recording using computers. 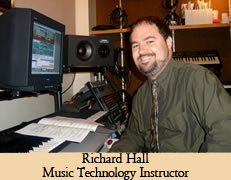 Richard Hall, instructor of Music and Electronic Composition at Texas State, will show students how to use Finale and Garageband software to bring their compositions to life. TSSC's Rhythm and Step This class helps students feel the beat by using step moves instead of instruments to improve their internal rhythm. Campers will develop and refine rhythmic ability with every stomp and clap! Students can enroll in two electives, including Irish/Bluegrass Fiddling, Beginning and Advanced Conducting, Cello Choir, Mariachi, Beginning and Advanced Creative Improvisation as well as the new offerings. 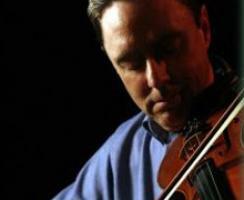 David Coe comes to San Marcos from Nashville to teach Irish Fiddle and improvisation at TSSC. David began playing fiddle in southern Oklahoma where he was born and raised. The music that he was drawn to was not the "contest" style of that region, but old time Appalachian tunes as well as traditional Irish fiddling. This interest led him to play in bluegrass bands at festivals around Oklahoma, and later in country dance bands around Oklahoma, Texas and New Mexico. In the late 1970s he met and began touring with nationally-known country artist Michael Martin Murphey and that musical partnership continues to this day. Together they have played venues from Carnegie Hall to the Grand Ole Opry with many TV shows, studio recordings and live concerts along the way. David concurrently pursued his interest in Irish music, eventually making his way to Ireland and studying at the prestigious "Guinness School of Musicology" (i.e. playing in pubs with great local Irish musicians). In the late 1980s David moved to Nashville where he has kept up a steady schedule of touring and recording. He began playing with the Nashville Irish band The Rogues in the 1990's in addition to doing his own regular performances and workshops at the Country Music Hall of Fame. David has recorded several CD's of fiddle music over the years in styles ranging from bluegrass, to Irish, to Appalachian. 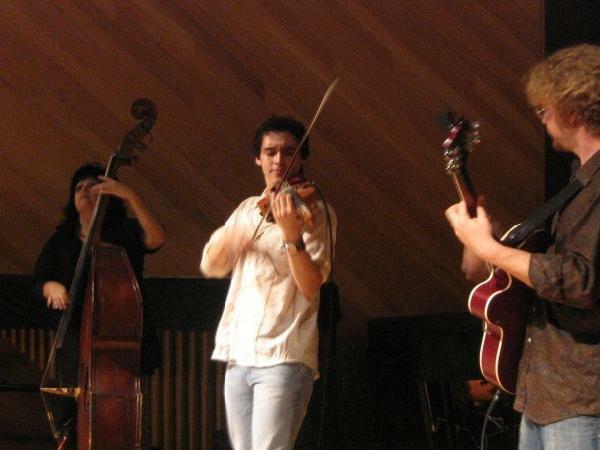 He has taught private fiddle lessons for over 20 years. David lives in Nashville and continues to share his love of fiddle music wherever he goes. The TSSC is proud to present a new addition to its schedule! Each camp participant will have the opportunity to see a diverse variety of daily performances/lectures by some of Texas' hottest string players. Featured acts include Austin violinist Damien Green and the 440 Alliance, an electrifying cello/percussion quintet from Arlington. Stay tuned for updates about other Noonday performers.